Faith Formation 4.0 ‹ Following The Way . . .Together! Successful efforts to invite and welcome new members (evangelization) as well as share Christian wisdom and practices (faith formation) depends not only on knowing the Christian message of God’s enduring love, but also how to use today’s tools appropriately. 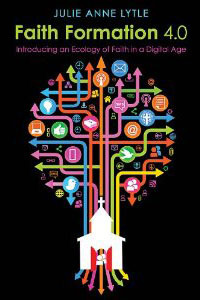 This book weaves theological, educational, and social media wisdom to guide faithful people and church leaders in their 21st century contexts. Each chapter includes Scriptural references, illustrative stories, and questions for further information. Order from Church Publishing Inc.